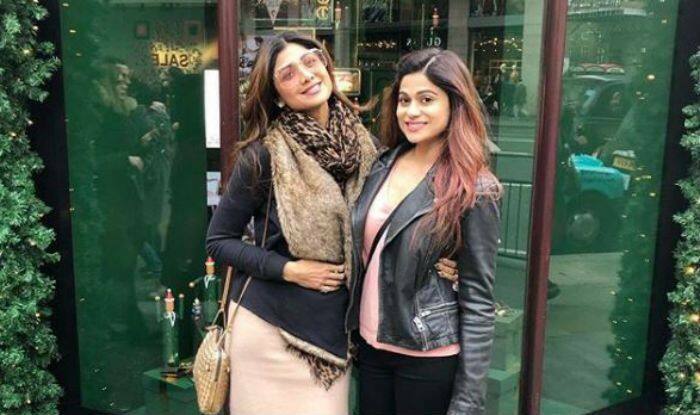 Shamita Shetty and Shilpa Shetty Kundra wish each other National Sibling Day with a heart-warming post and video. Watch. April 10 is celebrated as National Sibling Day and there are many Bollywood celebrities who are celebrating the day and posting pictures on social media and fans are going gaga about it. Shilpa Shetty Kundra and her sister Shamita Shetty have posted pictures and videos to celebrate the bond of a sibling. They share a strong bond with each other and they have got their backs always. Tunki (Shamita) and Munki (Shilpa) took to social media to share sibling day posts. Shilpa Shetty captioned the lovely picture, “Our roots say we are siblings but our hearts say we are friends. Blood is thicker than water and so is our bond.#happysiblingday my tunki… Love you always and forever.. and more than you would ever know. @shamitashetty_official #sisters #sisterhood #love #gratitude #memories #worldsiblingday#nationalsiblingday”. You are the butter cream icing on my chocolate cake, peanut butter to my jelly, apple to my pie不. You are my heart, my soul, my strength, my inspiration..my best friend.. my everything ❤️ feeling blessed ❤️ love you to the moon n back ❤️珞Tunki #tunki #tunkiandmunki #soulsisters#bestsister #moments #bestfriends#loveforever #family#loveandlaughter”. On the work front, Shamita made a promising Bollywood debut with YRF’s Mohabbatein in the year 2000 and also participated in the adventure reality show Khatron Ke Khiladi in which she was seen doing some spine chilling stunts. Shilpa Shetty, on the other hand, has launched her own fitness Yoga DVD. She is currently a co-judge on reality dance show Super Dancer.